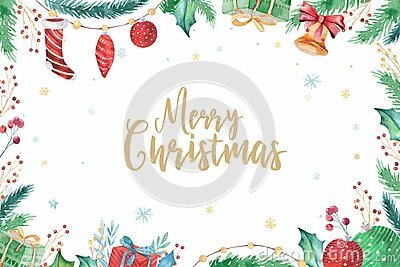 Merry Christmas and Happy New Year 2019 decoration winter set. Watercolor holiday background. Xmas element.